What would you do if you knew you could not fail? My premise is that you can accomplish much, including changing a culture, if you focus on a problem, surround yourself with encouragers, and don’t get side tracked by the hurdles you inevitably encounter. It is nearly 20 years since the furor around the dreaded “Y2K” scare. Do you remember? Some of us recall 1999 very well.We worried, fretted, or were at least a little anxious about the turning over of TIME into a new century. Perhaps, all of the digital info stored on our computers would be lost. Horrors! The prospect of that reality would mean an instant, international, communication breakdown. This was a definite concern for me then, as I was just beginning to sift through 40 hours of video footage and edit my first hour long, made-for-tv documentary. At the stroke of midnight, January 1, 2000, we ALL took a deep breath and sailed right through the non-crisis. Phew! True, I had backed-up files, but it was still a great relief that the digital renderings of footage I was editing were spared. Like many of you, I came to the nursing profession as a second act. Before becoming a nurse, I was trained as a speech and theatre professional. I came into the profession to ‘make a difference’ in ways I could not make as an artist. Since I had a commercial acting agent in San Francisco, I continued to have one foot in acting and one foot in healthcare. Then, in 1995, something happened in my professional life that caused all of us on NICU teams great concern. The problem was completely new in healthcare: We started to save babies that were extremely low birth weight. They were so small, e.g., 500 grams, we had to come up with a new name for them. We called them micropremature. We were concerned most, about outcomes. Since the phenomenon was so new, there was very little research on the subject. As NICU teams, what also concerned us was: What happened to these babies and their families, when they went home? Everybody was talking about it. I thought it would be a terrific story for a documentary. You know, interview the parents, do follow-up on the kids… So, I approached all of my producer friends. Shock of shocks, none of them would take the project! They all said basically the same thing: If this was my baby, I shouldn’t let somebody else raise it. Made sense. But that would mean learning how to be a filmmaker. (Insert groan.) I didn’t want to go back to school—at least not then, and not for filmmaking! I thought I’d eventually study for a master’s degree in nursing, but I wasn’t ready yet. I was a divorced mom and the sole support of three kids in school. Where would I get the money? What if I failed? It was a huge RISK. The whole idea seemed crazy. I worked hard to shake it… but the idea hung over my head like a dark cloud. Finally, I surrendered to the idea. Maybe Somebody-Up-There wanted me to champion the project. (Or maybe He or She had a sick sense of humor and was setting me up for disaster?!) Imagine you were me, knowing you possessed limited computer skills. That fact would complicate the learning. A wise friend reminded me that whenever you try something new, you’re making a change, and there is risk. She suggested it would be beneficial to surround myself with a few people who believed in me and who I could call when I was discouraged. She was one of them. We talked often. That icon of business management, W.E. Deming, posits that whenever we want to find a solution and make a change, we first need to identify the problem. As my high school journalism teacher, Mr. Mohn, would say, “Follow the question; see where it leads.” The vague notion that we should do something to learn how to help these NICU parents became the question: How does the birth of a micropremature baby impact the family unit? With the help of a team of dedicated professionals, we followed this question. I interviewed many families, multiple times, and learned valuable information that has helped change the process of how we deal with families in the NICU. If someone had warned you that it might take five years to complete such a project, would you begin it? I doubt that I would, so it’s a good thing I didn’t know what I didn’t know! Looking back, the lessons learned from taking the risk of leaping into unfamiliar territory should have been clear. After all, as nurses, we leap into unfamiliar territory each time we meet a new patient! You could call our work, “reality theater,” since when we walk into a room, we have an idea of the problem, and we have a plan of how we might help solve it. We work the plan and evaluate the outcomes before making a new plan. As entrepreneurs, it’s the same process. Sadly, sometimes we realize our plan has so many holes in it, we cannot even begin to put it into action. When this happens, if we say, “Yes, but…” and list the reasons why no solution is possible, we hit a brick wall. Nothing happens. Failure is inevitable. However, if we risk facing a problem with an open mind and say, “Yes, and…” we will be better served to find a solution. As an actor, that process is what drew me first to improvisational theatre training. 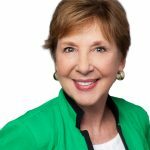 Candy Campbell, DNP, RN, CNL, CEP, FNAP, international speaker, award winning actor, filmmaker, and author, works with individuals and corporations to improve interprofessional communication, leadership, and team development. The film, Micropremature Babies: How Low Can You Go? won a prestigious award from the International Medical Media and has been seen on four continents. Thank you! This is exactly what I needed this morning. Time to stop procrastinating, get up, close that looming IT gap and work my dreams. Thanks again!